Many of you will know that we did a project (October 2012-March 2013) with Save the Children (our biggest project to date!) 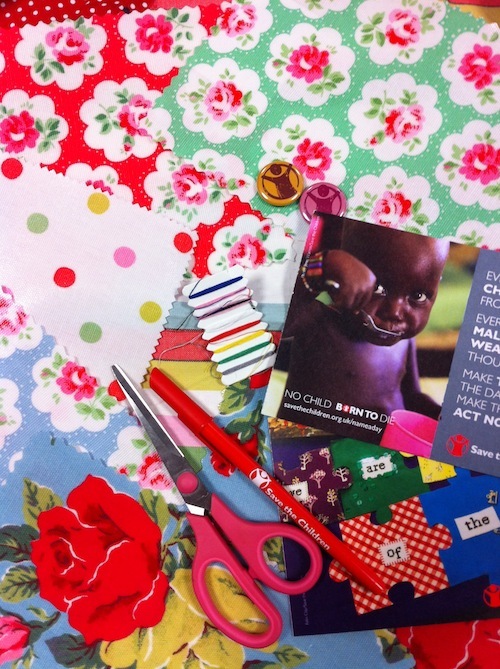 making Craftivist Jigsaws and using the hashtag #imapiece to encourage people to be a part of the solution to world hunger. The project went really well. Save the Children and the collective are all so proud of what we achieved together with your help. See results here. The evening will be a chance for everyone who was involved in I’m a Piece to get together and have a fantastic evening full of craft, tea and cake! There will also be the chance to hear canada online pharmacy forum from Save the Children speakers and get a sneak preview of a new campaign we are launching in February. Throughout the night you will have the chance to design our next global craft activitywhich will be part of our campaign to end Newborn deaths. The world has made dramatic progress in reducing the number of children dying unnecessarily each year- from 12.6 million deaths in 1990 to 6.6 million in 2012. While the number of children dying has come down, in 2012, nearly 3 million babies died within their first 28 days, deaths that in most cases could have been easily prevented with the support of a midwife. To make progress we urgently need to tackle this challenge and save the lives of millions of newborn babies. This is why in 2014 Save the Children is making it our top priority. We’re mobilising supporters, governments, midwives, celebrities, mothers, fathers and children to get behind our campaign to ensure no baby is born without the equipment and life-saving support of a midwife. We will also be joining in solidarity with campaigners in some of the country’s worst affected by newborn mortality. They will be urging their Government to take action to Save Newborn lives- around the world we will be standing with them. This is where you come in we need your help to design a new action that will help demonstrate the support around the world for tackling this crucial issue.